I love New York. At least I thought I did. I have visited the city several times, beginning in 1976. That trip had a dual purpose, visiting my good friend Carol and taking a Chisanbop class. The Korean finger counting method never really caught on, but I was hooked on New York. That first trip involved a lot of “Don’t go there’s,” and “Be carefuls.” New York was still a gritty place. Peep shows in Times Square, homeless people on the streets, police standing guard in the streets of the Bowery. It was an adventure! It was the kind of place you didn’t take your map out even if you were completely lost. Never let people know you were a tourist. Carol lived in Greenwich Village, not the safest place in New York, but what a place. A little bit of Bohemia. The Village Vanguard’s history included Miles Davis and Thelonious Monk. The Bitter End hosted singers Pete Seeger, Arlo Guthrie, Peter, Paul and Mary, Dion, Janis Joplin, Joan Baez and hoards of others including comedians Lenny Bruce, Woody Allen, Mort Sahl and George Carlin. The list is endless. As I read the names of people posted at the club, I was jealous of the people that lived in the Village. Even though I had missed those times the Village was still interesting. People watching was a vacation in itself. I remember two times being lost in New York. The first time I found myself looking at the very street signs where Carol had told me not to venture. Well, not a huge problem. So many policemen that all I had to do was ask for directions and scoot in the right direction. The second time was on the subway. I’m pretty good at the subway these days, but I was still a rookie then. I was headed uptown, or so I thought. All of a sudden I saw the light. Not THE light, but unexpected brightness that should not have been there. Looking out the window I saw water below. Not a good sign. I was headed out of Manhattan. I jumped off at the first stop, with a plan to jump on the next train headed back in the opposite direction. Only one man was waiting for a train. A middle aged black man dressed in a suit with a briefcase. “Young lady, where are you going?” he queried. I could tell he didn’t think I should be there. He was a nicely dressed, professional looking person. How bad could the area be? “You need to get back on the train and head back to Manhattan.” I explained that I intended to do just that. “I will walk you to the correct place,” he said. Wow, I guess I really shouldn’t have been there. After boarding the train I made a promise to myself to be more careful. New York was still a city with a lot of crime. Over the years I have made many return trips to New York. I went on a walking tour of the Bowery, the very “unsafe” area where I had become lost. I have prowled through Chinatown and tried numerous restaurants in Hell’s Kitchen. The peep shows are gone on 42nd Street, replaced by theaters owned by Disney. Katz’s Deli, in the lower East Side, is now a regular tourist destination. Harlem used to be dangerous. Now people flock to the Red Rooster to eat at Marcus Samuelson’s restaurant. 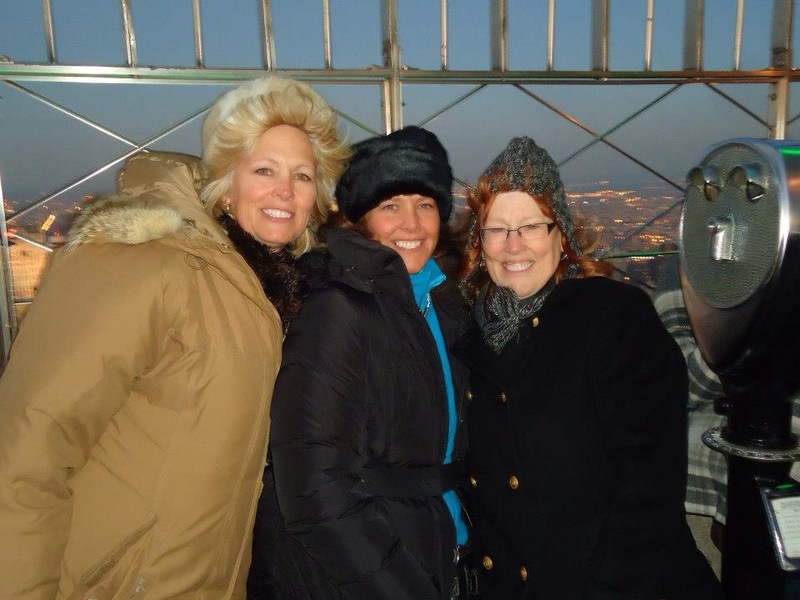 A year and a half ago my sister Ruth and I took our baby sister Ann to New York. My 41 year old sister was battling colon cancer. Annie’s favorite movie was Elf. Go figure. 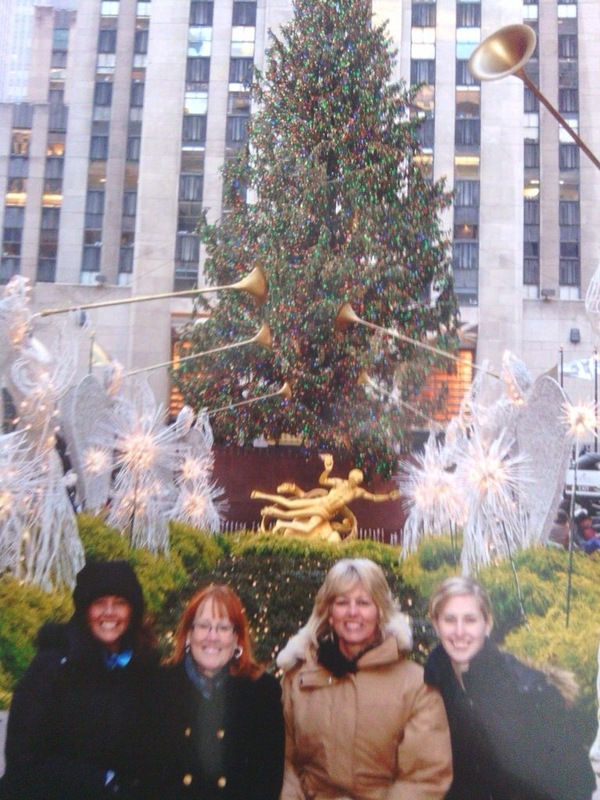 But she had always wanted to see New York, the tree at Rockefeller Center, Macy’s and the Empire State Building. So we went, despite the freezing weather, hoping to give her a trip of a lifetime. 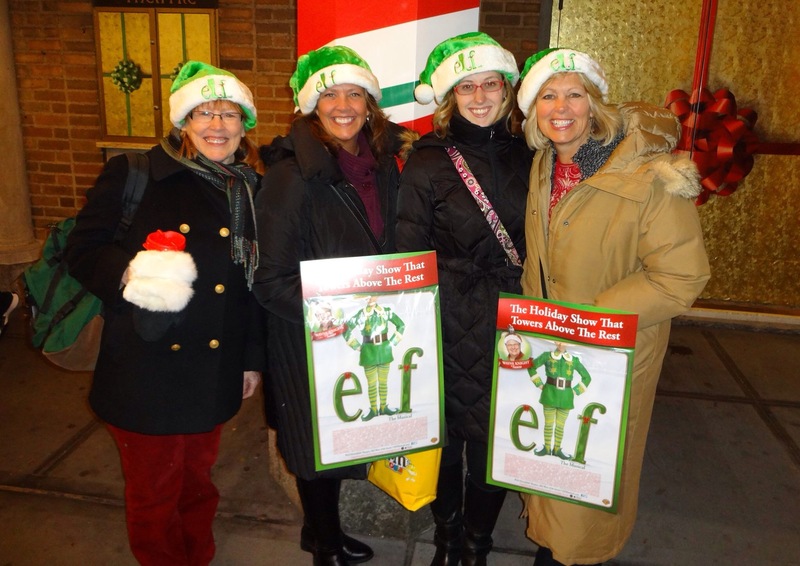 We went to see the Broadway version of Elf. Ann walked down the streets singing, because , “The best way to spread Christmas Cheer, is singing loud for all to hear.” She went round and round in the revolving doors. 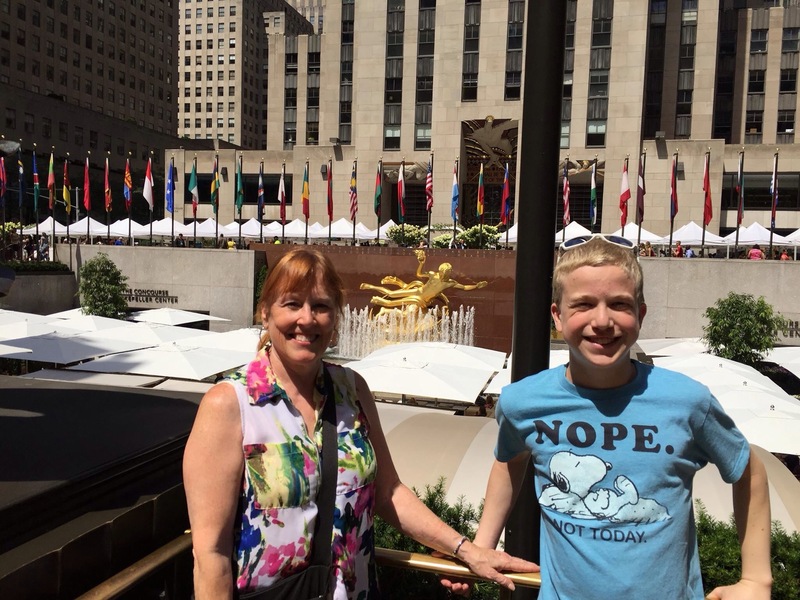 We watched the skaters at Rockefeller Center, ate good food and laughed. Ann passed away about a year later. For me, it truly was a trip of a lifetime. So, the latest trip. 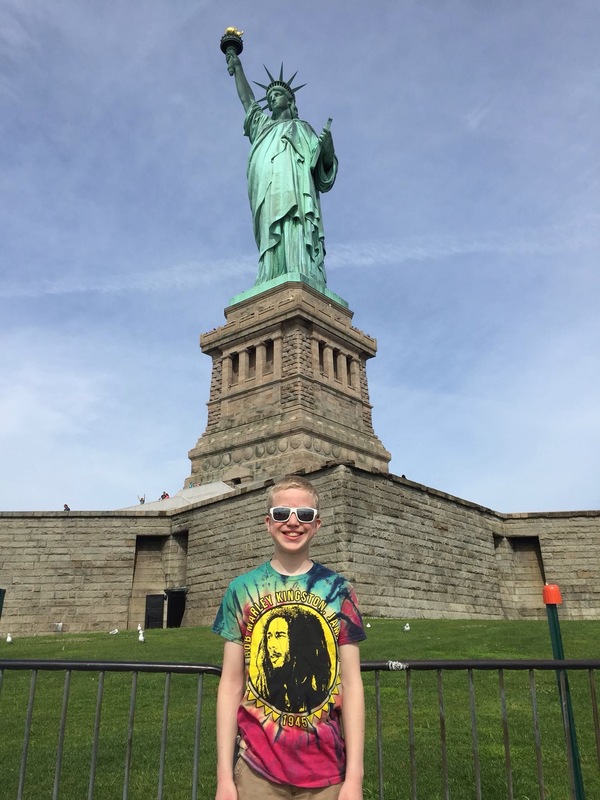 I decided to take my fifteen-year-old nephew Bryce, Ann’s son to New York to show him all the reasons his Mom wanted to go there. A four day trip packed to the gills with sightseeing. 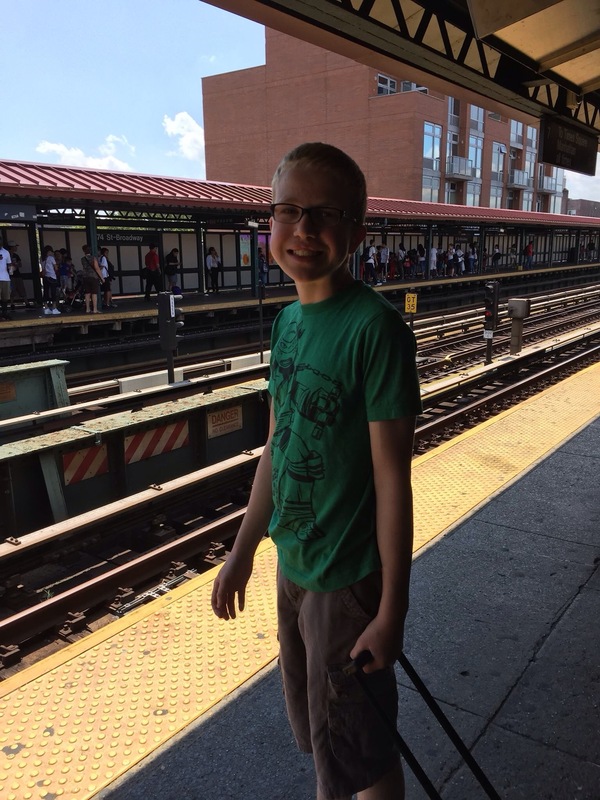 The World Trade Center Museum, Statue of Liberty and Ellis Island, Rockefeller Center, the Empire State Building, STOMP, Blue Man Group, Chinatown, Central Park, a NY pizza tour, the whole shebang. As a first-time visitor, I think Bryce really enjoyed the trip. But I kept feeling like I was missing the old New York. I missed the grit and the interesting people of the East Village. Everything felt so homogenized. I feels like the rich have just completely taken over Manhattan and there just isn’t room for anyone else. It is definitely a lot safer, but New York is just not as much fun. 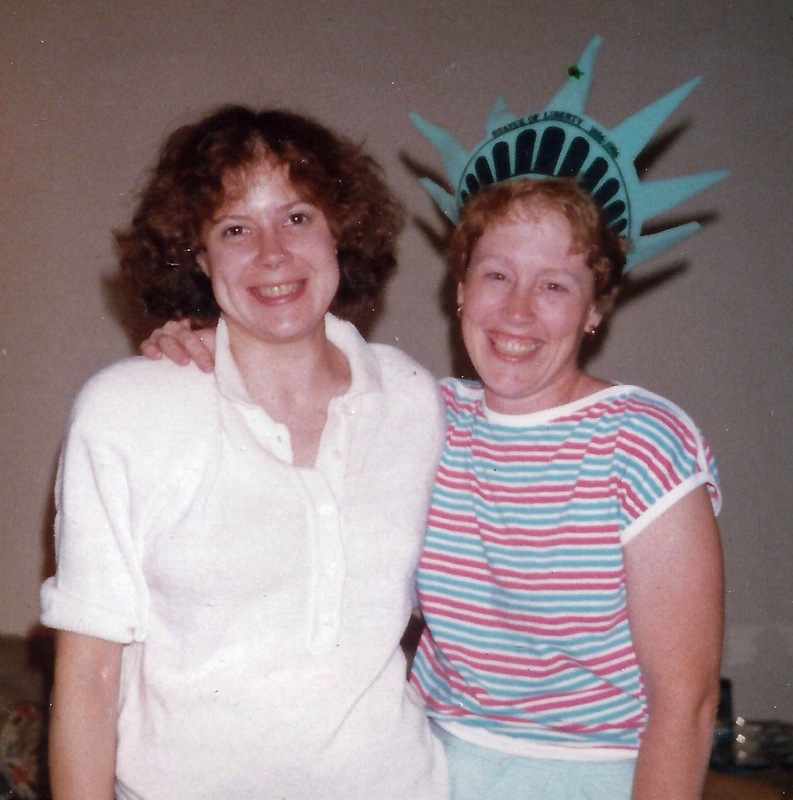 I’ll go back to visit my friend Carol, but I miss the old times. So, where are the people who lived in the Village now? All grown up and living in the suburbs? Looking for other intersting places to live? Can I find any of those old days feelings in any of the other boroughs? Brooklyn? I hear that is pretty trendy in some areas now. I wonder if the little places my husband and I went to in search of the best rice balls still exist. If you know where I should head to in search of the old New York, let me know.